At The Junction LLC, one of the most common questions we get is, How do I go about shipping beer? With the rise of the popularity of home brew beer kits, the movement of beer through the freight industry have never been higher. While most carriers don’t have a problem shipping alcohol, there are a few steps you need to take to for shipping beer. There are three things to think of when it comes to how to shipping beer: packaging, boxes, and freight class. If you pay attention to these three aspects of your beer shipment, you’ll have the best opportunity for a successful freight shipment. Good beer is usually in bottles. Bottles are made of glass. Glass is very breakable. Do you see the importance of packaging? 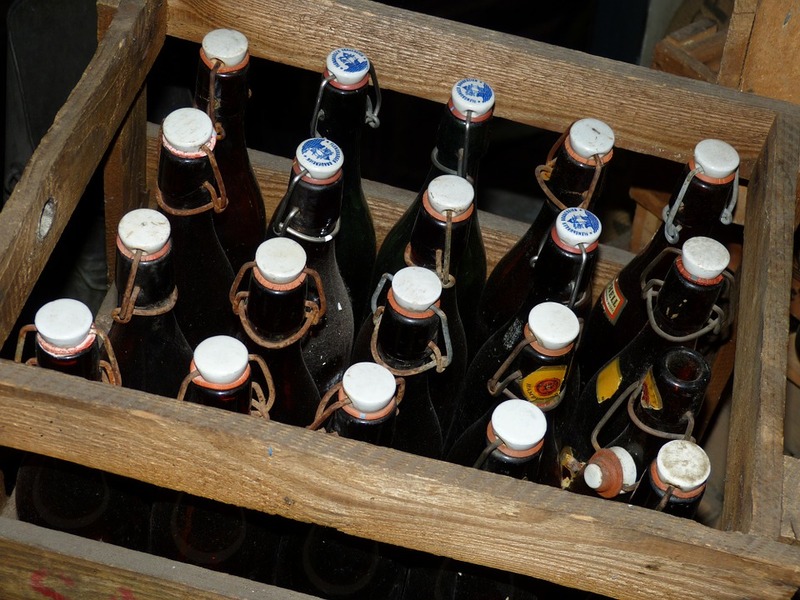 If a bottle of beer breaks and leaks everywhere, your box could be ruined, and your shipment could be disposed of by the freight carrier. To avoid this, put your beer bottles in Ziploc freezer bags. One per bag. After that, wrap the bottle and bag with bubble wrap. Everyone knows bubble wrap is fun. Don’t skimp on the bubble wrap. And for added security, you can get freight insurance. If you can get some styrofoam wine shippers, then you should. They’re designed for figuring out how to ship beer, and it’s best not to take chances. If you don’t have these, you’ll need lots of packing peanuts and newspaper. Swing by your local liquor store to see if they have wine boxes. These aren’t quite as good as the styrofoam wine shippers, but they help separate the bottles, and give a bit of stability. Pack as many packing peanuts and as much newspaper as possible around the bottles. The goal is to keep the bottles completely still. In a perfect world, you should be able to shake the box and hear not a sound. After you’ve got your beer packaged in boxes, you’ll need to get your freight consolidated on standard-sized pallets. If you’re only shipping one box, then you won’t have to worry about palletizing it, but more than one box should be consolidated on a pallet. All LTL shipments have a freight class, so make sure this information is legible on the bill of lading used at the time of pickup.